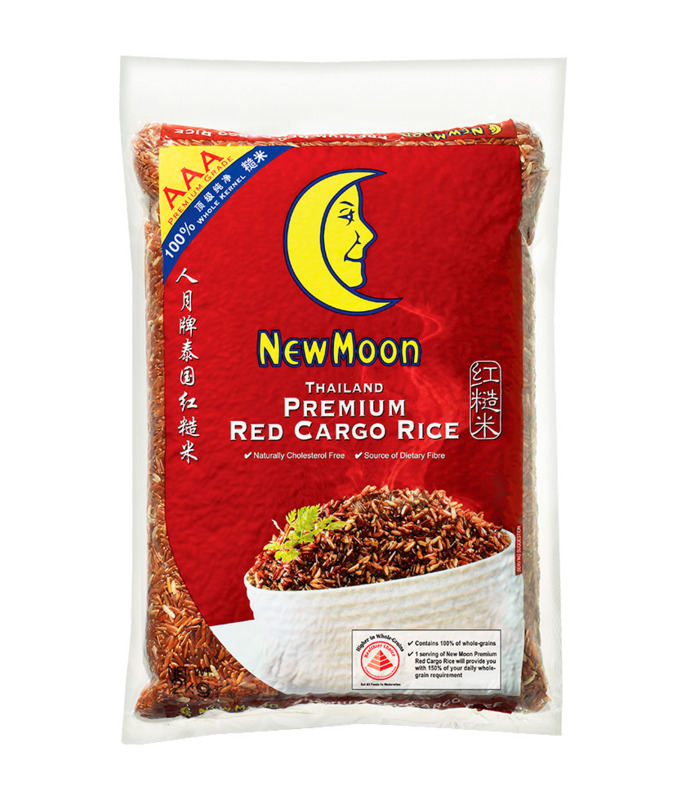 New Moon Premium Red Cargo Rice is cholesterol free and contains dietary fiber with 100% whole grain. One serving of New Moon Premium Red Cargo Rice is able to provide 15% of our daily whole grain requirement. Soft in texture and emits a sweet and nutty aroma when cooked.